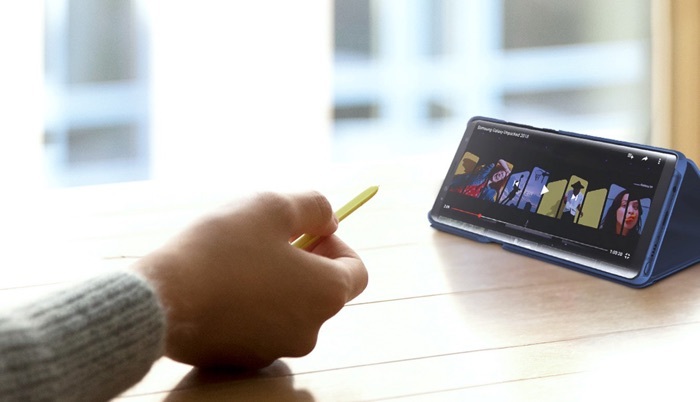 The Samsung Galaxy Note 9 comes with a new cooling system that Samsung has developed. The system if called a Water Carbon cooling system and now Samsung has released some details on how it works. It is designed to cool down the smartphone when it is under heavy load for example when you are gaming, Samsung’s new system is designed to cool the processor down. 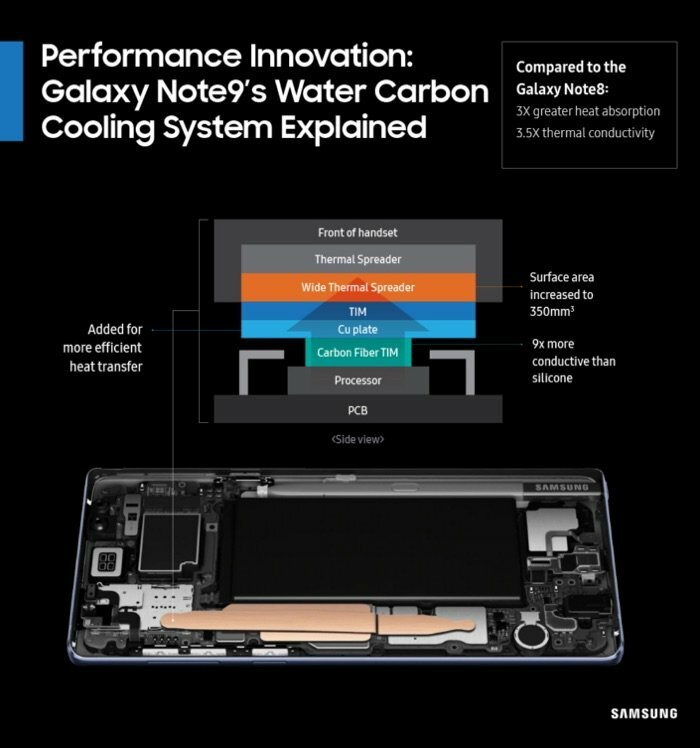 The Water Carbon cooling system for the Samsung Galaxy Note 9 can be seen in the picture below, Samsung explains what the system is made up of in the picture. You can find out more information about Samsung’s innovative cooling system for the Galaxy Note 9 over at their website at the link below.